The Brazilian state of São Paulo is looking to cryptocurrency to help solve its infrastructure problems. 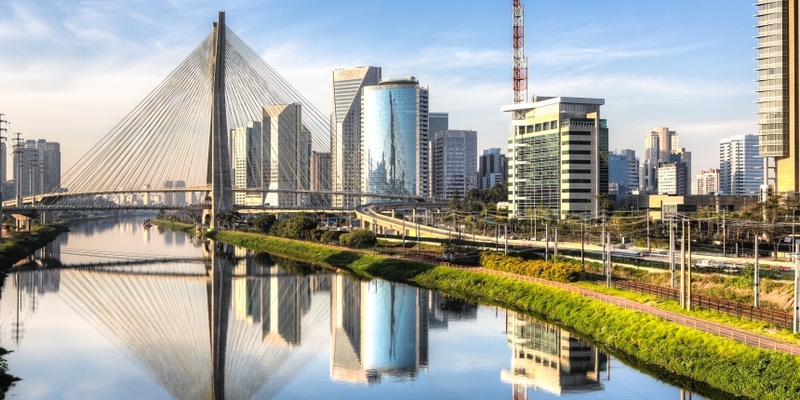 The state, home to 45 million residents and the city of São Paulo – the largest metropolis in the southern hemisphere and the third-largest in the world – plans to use a token called buildcoin to pay engineers across the globe for feasibility studies. These studies are required to assess the practicality and justify the expense of large construction projects. To test the concept, São Paulo will crowdsource and finance studies this way for the Ilumina SP program, which aims to swap out antiquated public lighting systems for newer and more efficient alternatives. If successful, the blockchain solution could be a workaround for governments that want to invest in infrastructure, but lack either the money to pay for credible independent studies (which are needed to attract outside investors and get the ball rolling on projects) or access to the needed expertise. São Paulo officials say a model that can attract more minds from around the world and compensate them with cryptocurrency can help the state meet its infrastructure requirements in a way that is more transparent, cheaper and faster than the existing process. “We like innovation in São Paulo, and blockchain and cryptocurrencies are being followed as extremely interesting innovations that we had to start experimenting with,” Hélcio Tokeshi, secretary of treasury for the state of São Paulo, told CoinDesk. The state is partnering on this initiative with CG/LA Infrastructure, a Washington, D.C., consultancy, and the BuildCoin Foundation, based in (where else?) Zug, Switzerland. The pilot project will leverage CG/LA’s global network of 60,000 infrastructure experts with the foundation’s eponymous token, which is designed to create an alternative payments ecosystem for the construction industry. First, study proposals would be submitted by governments to the BuildCoin Foundation for vetting. Selected projects would be green-lighted and floated to experts in CG/LA’s database. That’s where the coin, an ERC-20 token that runs on top of the ethereum blockchain, comes in. For example, an engineer in Finland who specializes in bridges could receive an invitation to collaborate on a feasibility study for a bridge commissioned by a local government in Brazil. He would receive remuneration in buildcoin based on his overall contribution to the project, measured with a Reddit-like system where other participants can vote up or down the quality of his work. Why would the engineer accept payment in a specialized digital token rather than money he can spend at the local grocery? If all goes according to plan, the buildcoins would eventually be redeemable for other services in the same ecosystem, such as subcontracting from other participating firms, market research and professional training. Similar to many token-based blockchain projects, the value proposition gets stronger the more participants join the network – provided the initial chicken-and-egg problem is overcome. In this way, CG/LA and BuildCoin believe that a blockchain and a native cryptocurrency for the infrastructure and construction industry will not only ease burdens on governments, but also open up new opportunities for subject matter experts around the world who are eager to contribute to projects but have historically had difficulty finding studies or colleagues to match up with their particular skill sets. Faced with an economic crisis and tighter government purse strings in recent years, infrastructure spending in Brazil has shrunk to around 1 percent of gross domestic product – significantly lower than the 4 percent global average and insufficient to cover even basic maintenance requirements. Traditionally, Brazilian empreiteiras – massive construction conglomerates – would perform both the feasibility studies and the construction work for a given project after winning the contract from the government. But because of an ongoing corruption scandal, which has seen a number of construction tycoons jailed, these conglomerates have been largely removed from the picture. This situation has left local governments in search of a new way to pay for the studies, which typically run between $500,000 and $1 million. But it created a window of opportunity for buildcoin. A former informal advisor to U.S. President Donald Trump on infrastructure issues, Anderson argues that the buildcoin model, if successful, could be deployed outside of Brazil to help solve the massive worldwide problem of infrastructure underinvestment. Global infrastructure investment falls short of target by an estimated $1 trillion a year, and in the U.S., the American Society of Civil Engineers reckons that $3.6 trillion in spending is needed over the next five years just to maintain and upgrade existing infrastructure. Further, the problem of financing the studies needed to kickstart these projects expands far beyond just Brazil. Anderson estimates that there are 80,000 infrastructure projects proposed worldwide in a given year, but only $200 million in funding is available for feasibility studies – meaning only about 400 studies are conducted each year. And because studies frequently don’t translate into real projects, they typically cause a host of budgeting and political headaches for governments. “If I do a study, the project may not materialize for several years, so it’s outside the political cycle. So why am I going to budget for something today that’s not going to be done until far off in the future?” said John Cronin, president of the BuildCoin Foundation. Should the Ilumina SP partnership succeed, Anderson said that the next steps will be to expand into other important but uncontroversial types of infrastructure projects such as wastewater treatment and transportation, in Brazil and other markets.